Gatwick Airport recently got a visit from the Google Maps Street View cams. 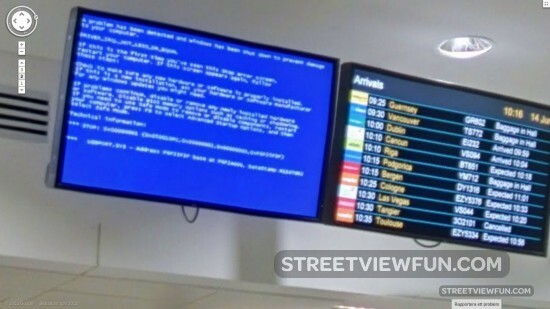 On this important day the flight information is not available due to a Windows blue screen. It ‘has been shut down to prevent damage to your computer’.